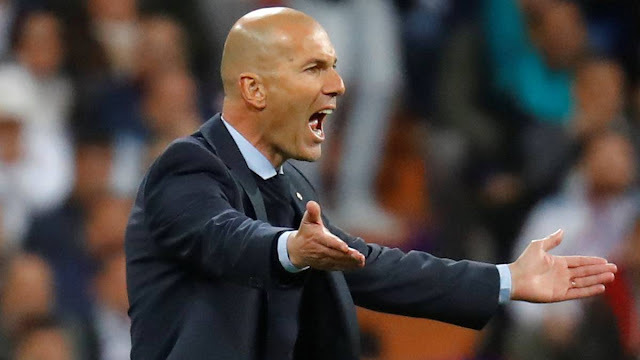  Home › Spanish La Liga › Ex-Real Madrid President Calderon: "Zidane Quit Over Florentino Snub"
Ex-Real Madrid President Calderon: "Zidane Quit Over Florentino Snub"
Former Real Madrid president Ramon Calderon says Zinedine Zidane quit as coach over a disagreement regarding who was in control of transfers. Calderon says the Frenchman walked because he wanted Gareth Bale sold instead of Cristiano Ronaldo, but president Florentino Perez had other ideas. Zidane made it very clear when he decided to leave the club. He insisted on keeping Cristiano and transferring Bale, and the president did completely the opposite. Zidane also wanted to sign some players and transfer others -- apart from Bale -- but he didn't get [his wishes], so he decided to leave. And he was right. The point with Cristiano was not only that he scored 50 goals per season but also that he was a leader. He could help team-mates. He was always encouraging them to play better, to train more. For me, that is the main problem -- not only the loss of his goals but Cristiano's behaviour, his attitude.